House Democrats introduced a bill Tuesday morning that would create an automatic and an online voter registration process in response to the measure implementing a voter ID requirement in the constitution. “No one should be denied their right to vote,” said Rep. Graig Meyer (D-Durham, Orange) at a legislative press conference. 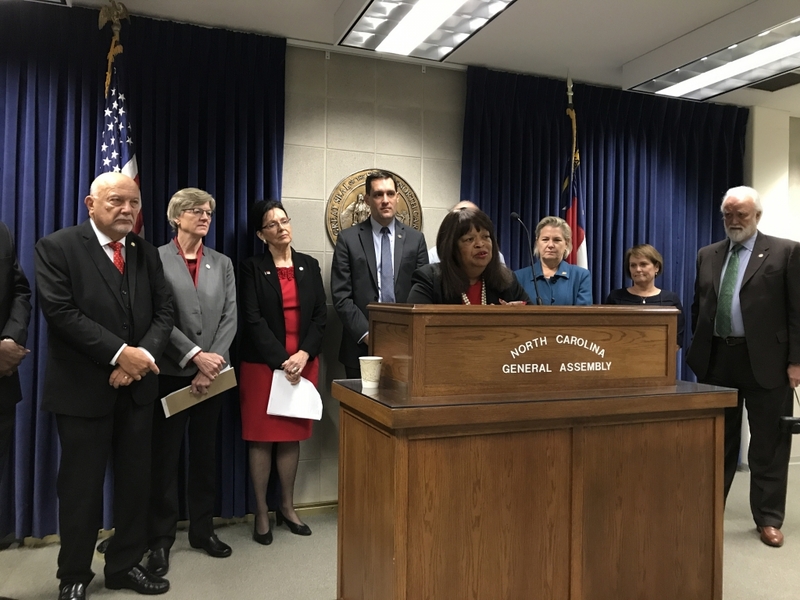 He and three other colleagues — Rep. Marcia Morey (D-Durham), Rep. Jean Farmer-Butterfield (D-Pitt, Wilson) and Rep. Joe John (D-Wake) — are the primary sponsors of House Bill 1115, the Let North Carolina Vote Act. Part one of the bill creates a system for universal voter registration. Anyone who registers with a state agency for any purpose would also be automatically registered to vote — this would include any registration with the Department of Motor Vehicles, the Department of Health and Human Services (public assistance, Medicaid/Medicare and unemployment) and public community colleges and universities. Other parts of the measure allow for Election Day voter registration, require county boards of elections to provide voters with a free photo ID, creates a system for online voter registration and extends early voting. The backdrop of this bill includes Senate lawmakers already passing Senate Bill 824, the voter ID measure, amid a GOP voting fraud scandal in the 9th congressional district, which is being investigated by the State Board of Elections and Ethics Enforcement. Still, Meyer said he didn’t expect GOP lawmakers to be accepting of the Let North Carolina Vote Act. Farmer-Butterfield described the bill as a solution to voter ID that would be in the best interest of all parties involved and the constituents of North Carolina.